Yea, I know it has been chewed up, at least by me, but it’s a important info for those who considering laptops for gaming – mobile I5 vs I7, dual vs quad (and more, in the future). That’s true also for desktop CPU, but a desktop I5 has 4 cores and not 2, like a mobile I5. In the desktop context, it’s more of an I3 vs I5 vs I7 matter with I3 more similar to I5. A lot of people are drawn to higher specifications quad core CPU like an I7 (4C/8T) over the dual core I5 (2C/4T), because the common intuition of people is that it will be useful for gaming. However, in most cases it was shown in benchmarks that the advantage of a mobile I7 over a mobile I5 CPU is insignificant in terms of FPS, the least. The reason is partially because the GPU is bottlenecking the system way before the CPU hits its limits, when graphics settings are high enough, which is usually the case. Just a note – the talk about I5 vs I7 forgets the AMD CPU options. In the current state of things, where mobile AMD CPUs are almost always far slower for gaming, I would definitely go with at least 4 cores for a heavy duty gaming laptop. But ofcourse, you can barely find such things (MSI GX60 and GX70 to be specific) and even with 4 cores they are very limited, maybe also because of TDP limitations. We’ve already seen I5 vs I7 tests with the GTX 850M DDR3 and also enough tests with I5 vs I7 with GTX 860M equipped laptops (you can see a small summary here for example), but now I wanted to test the high performance GTX 970M GPU @ 1080p resolution gaming to see how it goes with a much more powerful GPU, also in order to estimate the results for the GTX 965M and GTX 960M GPUs. Remember that for higher resolutions, the GPU – even a 970M – will be again a much more limiting factor than the CPU, so I’m testing it with 1080p resolution. As for practical uses, for example, you can get the new AW15 with an I5 and 965M for $1125 (w/ coupon) which is much cheaper than the I7 version. So, I wanted to test whether it’s a good course to go with the I5 and get good results. 3. Using the Prema bios, I could disable cores via the bios. I’ve tested 2 (4 threads) and 4 cores (8 threads) settings. 2. Metro LL benchmark (built-in tool), very high settings according to notebookcheck graphics settings – everything on highest settings with SSAO and Advanced physics off. 3. Thief on higheset graphics preset, Civilization BE too with AAx4, Alien: Isolation AAx2, Total War II : Rome Extreme settings@1080p forest benchmark, Battlefield 4 Campaign test. It does look that the performance hit, even with a GTX 970M GPU which is considered very powerful for current 1080p gaming, in most games is insignificant or very low, which is surprising. Alien Isolation and Metro show some signs of favoring the I5 in this case. 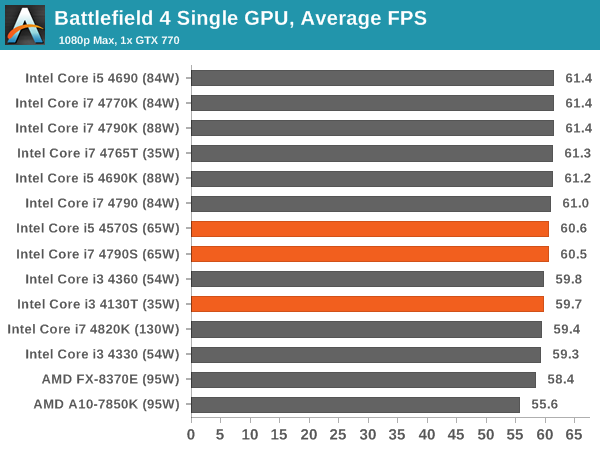 Note that in the non-built in benchmarks of Crysis 3 and BF4 it’s hard to make sure these are good enough results – I’m pretty sure Crysis 3 in some cases will be limited by the I5, according to previous benchmarks with a GTX 670MX, so take this specific result with a grain of salt. 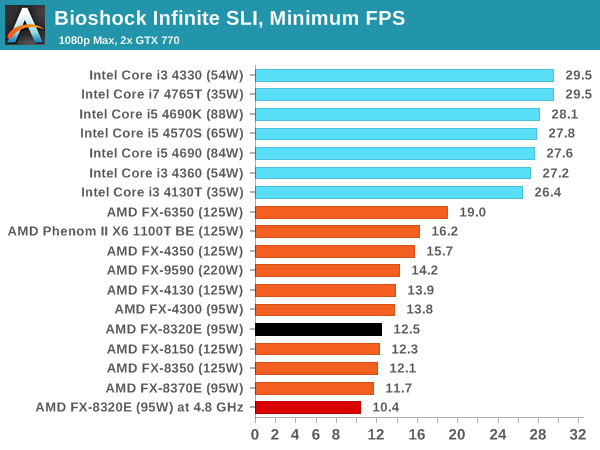 However, it does show that even in the very CPU demanding Crysis 3, advantage of the I7 is not obvious. That’s more like it. We see that with 2 cores only, the CPU is maxed out while the GTX 970M GPU is not (though not far away), meaning the CPU is the limiting factor in this case. The GPU usage is far below than 100% and in many moments you’ll see GPU usage below 89% meaning the GPU can’t be fed fast enough. In the 4 core scenario, the max CPU usage is considerably lower and the max thread usage is very high but not as in the I5 version and does not get to 100%. Also, GPU max usage is higher with average and median much higher, meaning the GPU is fed better, so to speak and less limited by the CPU. We’ve seen that average FPSs are very close in both cases, but the CPU and GPU numbers show that in the 2 cores (4 threads) case, the CPU is really taken to its limit. I bet that in actual gaming you could experience jittering and ‘jumps’ in game. I’ve tried to take a look in Star Citizen (currently in beta stage) and besides the bug and glitches and problems with testing, we can see that in the I5 test, the GPU load is far below 100%, hinting that something it preventing it from being fed – probably the CPU chocking on the game and indeed the max thread usage and total CPU usage are much higher in the I5 test compared to the I7 test. FPSs in the I5 test are around 75% of the FPSs in the I7 test which corresponds, more or less, to the total CPU usage difference of 60 vs 86 (~70%). It looks from these tests that in the StarCitizen case, the I7 or a much faster I5 (or AMD CPU) is indeed necessary to match the GTX 970M hunger. HOWEVER, like in other tests in the past, this is only beta and the game won’t be in a mature state even after it goes out of beta. I would not take these results as final results and I suspect the in the future we’ll see better results with an I5. I’m saying it also because we can see strange numbers – the total CPU usage is not 100% in the I5 test, nor the thread max usage, then why there is a bottleneck? And please check both links. The desktop I3 is more or less like a mobile I5, only with higher clocks. You’ll see that the Intel Haswell I3 performs well and the I5 and I7 CPU really don’t offer a lot of advantage even in the case of GTX 770M SLI GPU configuration. The desktop I7 gets you 4C/8T and desktop I3 2C/4T and the difference in actual gaming we see is a lot lower than you would expect if all cores were fully utilized. Other games might be a little different, like in the case of Crysis 3 or Metro LL, but the picture is clear – you’ll need a very powerful GPU configuration just to notice an significant advantage. That’s true for mobile gaming too. The GTX 970M is considerably less powerful than 770M SLI configuration and will be much more limiting, as we’ve seen in our Metro LL CPU usage comparison. One, that an I5 is really powerful for gaming in the current state of 3D gaming (and I don’t know what goes in VR really). Even with a GTX 970M GPU which is really powerful, you could use a mobile I5 CPU and get almost the highest FPSs anyone could get with a GTX 970M on stock, easily. In most cases there will be no difference in performance or the difference will be insignificant. Some laptops come with the I5-42XXH, which come with higher core clocks and there the difference will be even lower. StarCitizen beta tests show that with a GTX 970M (and up), you’ll need an I7 or a very fast I5 (overclocked probably) to get the full potential of the GPU. I would not rush into saying that it shows the an I5 can’t match the I7 results to a high degree yet, as it is only a beta version and it will take many more months before we can see results we can trust more – the numbers seem a little strange, with max thread usage and total CPU usage not hitting close enough to 100% to say the I5 is the bottleneck. Secondly, GTX 965M which has around 70-75% of the GTX 970M performance at most, will limit the system probably well before an I5 will, in most current games including Metro, BF4 and Crysis 3, in almost all scenarios. That makes an I5 + GTX 965M proposition a viable and reasonable one. Also, it’s much better to take an I5 + 970M than 965M + I7, for example. 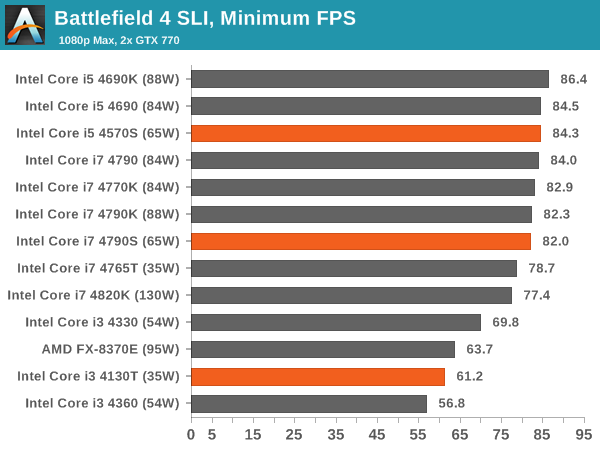 Third, the I5 with a GPU like GTX 970M and I guess even the GTX 965M in some games and scenarios, will be a limiting factor, even if the average FPSs you’ll get are high. I wouldn’t suggest an I5 with GTX 970M GPU for 1080p gaming. So, bottom line, an I5 is powerful enough for current gaming in almost any case, if coupled with up to a GTX 965M GPU level, for 1080p gaming. Future utilization of APIs like DX12 will be probably result in even lower CPU usage in such cases as above, making even a GTX 970M GPU again the limiting factor. That means that your money saving on an I5 now, could mean greater saving later on, in a way. If you are considering a laptop with a GTX 965M level GPU and the CPU is replaceable, I would certainly consider the I5 path if it saves good amount, as you can always replace it later if you find it insufficient. But do you really need this configuration? it really depends what are your needs! Hey, first off thanks for all you’ve put into this website. Every time I come up with a question on laptops it seems you have it answered already. I was wondering about the i5 vs i7 thing that you covered here, but as I was reading it I thought: Would disabling cores lower battery usage as well? Also, could it reduce temperatures. Finally, would this work to the extent that it would be worth doing so when I decide to take the laptop for college uses as well? Thanks! But it will take time for applications to adopt it well.. But do you really need that much power? I probably expressed myself wrong, I want my games to run at the best posible way with the hardware i can achieve. If I cant, i will just lower the settings. Thing is, the 965m doesnt seem enough powerful to me with an i5. If I could buy it with a 965m+i7 I wouldnt have any problem but as I cant, i am forced to choose between i5+965m or 970m+i7 (i5+970m is not an option according to the article). Throwing games like The Witcher 3 a double core i5m + a desktop 970 seems really unbalanced to me. I think you should wait a bit – I just got the new AW15 with an I5 and a GTX 965M. Let’s see how it goes, ok? Oh that is really nice, I will absolutely wait. If only they offered an i7 with the gtx 965m that would be ideal. I’ve got my full desktop tower built and I am not gonna sell it, I want the laptop as a complement and thats why the graphics amplifier has so much appeal to me. I could just use the same desktop GTX 970 in the laptop and the desktop which is my plan if I end up getting the i5+965m. i would just put the 970 in the desktop when I’m at home and in the laptop when I’m out for a while.